We have a fun-filled day planned for this WCMD! 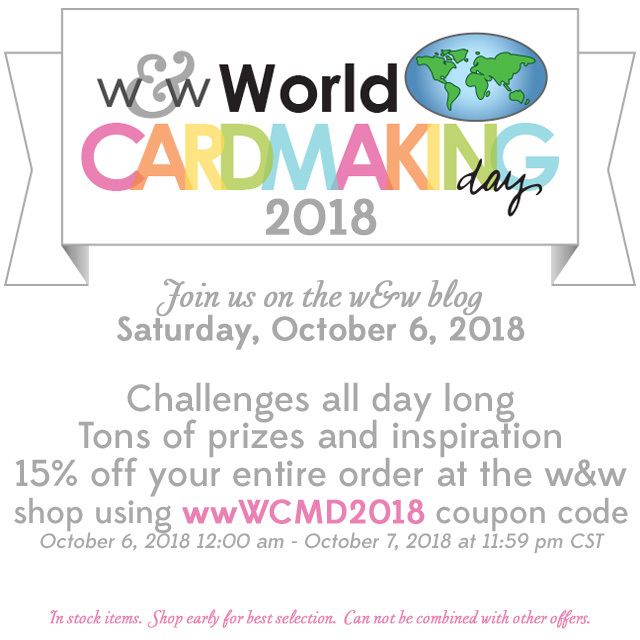 Be here at the w&w blog tomorrow, Saturday, October 6th for all the fun. So fun! I'm sharing this in the Coffee Loving Papercrafters fb page! Hooray.....hoping to carve out time in this busy October weekend to participate in WCMD!! Yay, you know how much I love to do these challenges each year!! !